AncestorPuzzles.com: My DNA Results & Surprises! I was surprised by the Middle East ethnicity. 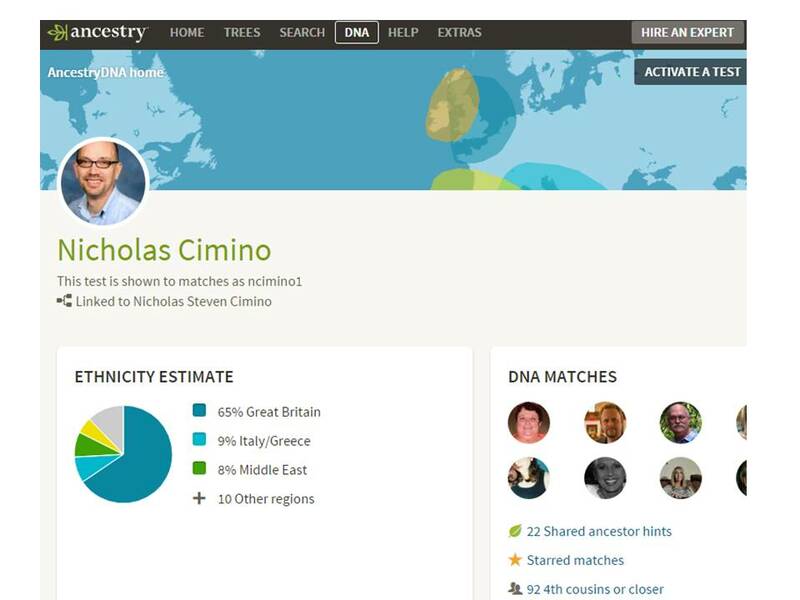 My genealogy research in Sicily tells me that I have seven generations of Cimino ancestors dating back to Rosario Cimino born about 1740 in the Siracusa province. I feel pretty confident based on this research that I am 25% Sicilian. However, the ethnic origins of Sicily in ancient history appear to be influenced by the Middle East, Italy/Greece and the Iberian peninsula. 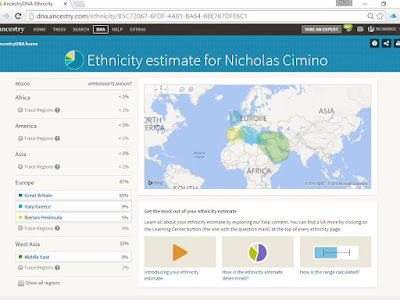 I would be very interested to compare my ethnicity estimate to others with Sicilian heritage. I would also like to encourage all of my close relatives to get tested. Ethnicity Detail with map showing my ancient origins. A new feature on the Ancestry DNA results is the DNA circle. I have DNA circles for both maternal and paternal ancestors. 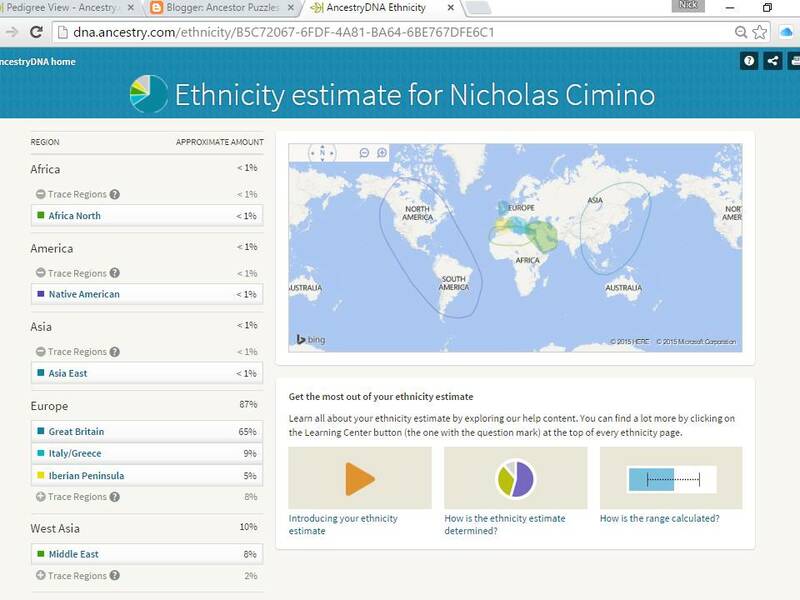 For example, the DNA results tell me that I am a descendant of John Jacob Main. My family tree on my maternal side confirms this. 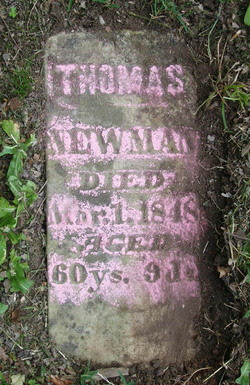 I share DNA with other descendants of John Jacob Main, my 3rd Great-Grandfather (1794-1872). 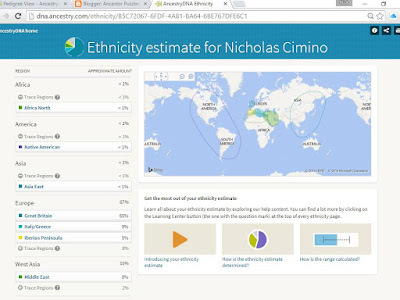 Other surprises in the ethnicity are that I have trace amounts of African, Native American and East Asian ancestry. The North African component is easy to explain with the proximity to Sicily. The East Asian and the Native American ethnicity is much more mysterious. I have ordered a kit for my dad so it will be interesting to find out if he shares any of these trace amounts of ethnicity. I encourage all of my readers to get tested. It has been well worth the investment for the entertainment value alone. I especially encourage all of my close relatives to get tested. I am very happy to learn that my origins are much more global than I imagined.